Virat Kohli has steered his way to the top after signing an INR 110-crore deal with Puma and has etched his name in the most marketable athletes list of the nation. Prior to this, Virat signed an INR 6.5 crore deal with MRF, an INR 5 crore 18-month deal with Audi India and in total had earnings of Rs. 134.44 crore in 2016. Manyavar, Flying Machine, Fair and Lovely, Fast Track, Munch, Cinthol, Clear Shampoo and Celkon Mobiles are also some of the biggest brands endorsed by him. Following this, he also became the only Indian to be featured on the Forbes’ list of world’s highest-paid athletes in 2017. 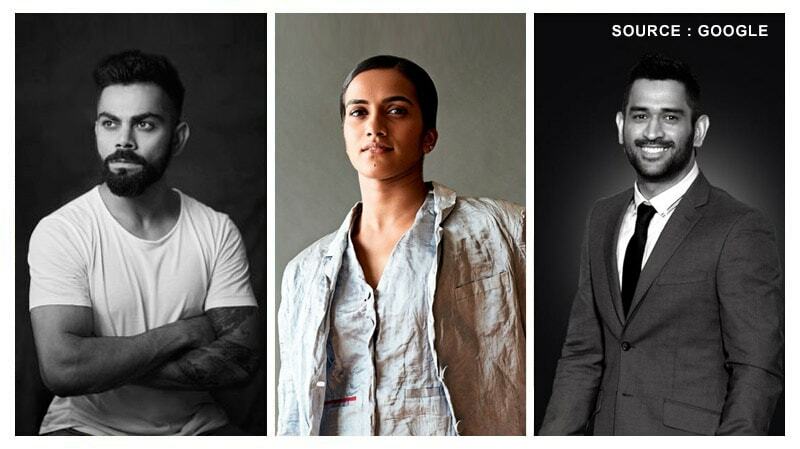 The changing dynamics of Indian sports has pushed major brands to sign sports celebrities other than cricketers and Ms. Sindhu is leading the way in this category. She has cumulatively signed INR 50-crore deal with multiple brands which is the biggest deal signed by a non-cricketer. Her managing agency, Base Line Ventures Ltd, has really put a lot of efforts for securing her brands like PepsiCo, Reckitt Benckiser, Yonex, Myntra, Bank of Baroda, GST Bill among many others. With Dhoni stepping down from the captaincy, his endorsements also faced a dip, still he managed a huge sum of INR 122.48 crores in 2016. Apart from his endorsements like Gulf Oil, Boost, Revital, TVS motors, Spartan Sports and Maxx Mobiles, his own co produced biopic did an overall business of INR 130 crore in India alone. He co-owns a Ranchi based Hockey club Ranchi Rays and Chennaiyan FC. His list doesn’t end here; he also co-partners an FIM Supersport World Championship team with Akkineni Nagarjun named Mahi Racing Team India.